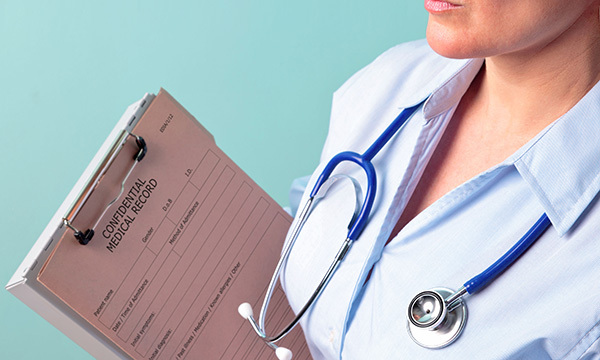 Legal advice: Are patients allowed to read their bedside notes? Many patients and relatives believe they have a right to see any aspect of their health record on demand, including being able to read their bedside notes whenever they want. When I was in clinical practice, bedside notes were usually kept at the bottom of the patient’s bed in a Kardex containing clinical information such as observation charts, fluid balance charts, drug prescription charts and the patient’s care plan. Notes kept at the bottom of a patient’s bed are part of their health record. Patients may say that as the health record is about them, it is their personal information and they own it, but this is not the case. Health records are owned by the health and social care secretary, or the hospital or consultant if the patient is in a private care facility. A health record is seen as confidential information under the General Data Protection Regulation and the Data Protection Act 2018. This means the records must be protected, and only authorised individuals should have access to them. As patients are not authorised individuals within the meaning of the law relating to confidential information, they do not have the right to see their own health records whenever they want. Even if bedside notes are kept in sight of the patient and can be read by anyone who picks them up, the patient does not have a ‘right’ to read them. What confuses the situation is that some health professionals will share parts of a patient’s health record with them when discussing aspects of their diagnosis and treatment. This can lead patients to believe they can see their records when there is no automatic right for them to do so. Some clinical areas will also allow patients to read their bedside notes and only keep limited information in them, while others do not allow access at all. You therefore need to know the local policy on this for the area you are working in. The many reasons why access to a patient’s health record is restricted include confidentiality, the ability to understand what is written in the record, and whether the patient might suffer harm if they became aware of certain information within the record. Access may also be restricted if the heath record discusses a third party. Confidentiality would not normally be breached by giving someone information about themselves, but it can become an issue if the patient is asking to read information in their health record that could cause them harm, for example, or discusses a third party. If a patient wants to access their heath record, and/or to make a copy of it, they have to apply to do so. This request will be dealt with by the relevant department, which may arrange access to all or some of the health record depending on the contents and the reasons for restrictions. Generally, if a patient requests to see their health record while in a clinical setting, this will be arranged with a clinical member of staff present who is able to answer any queries. If there are concerns that revealing any information in the health record might be harmful to the patient, this would be removed before the patient was allowed access to it. The patient’s right does not extend to seeing their health record at any time they demand it, or making copies of any part of it – including taking photographs of it – or the right to alter or delete any part of the record. Can I access a friend’s medical records for them? Can I write notes in coloured ink?